This is on sale at Zulilly today! The ones we have are just like this, but we had seat belts added and took the tray off to push it up to the table when the girls wanted to be in chairs with the family but didnt have the support to sit in them (and were not in power chair, yet). They were only sold as medical supplies then and were in the neighborhood of $4oo! 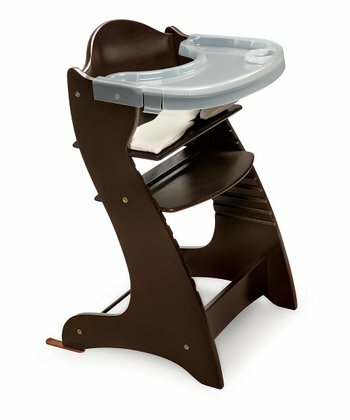 These are great because the seat and foot plate both slide into the different slots to customize the seat and grow with them...still offering foot placement at an older age. Find it HERE under Badger furnishings for $85!